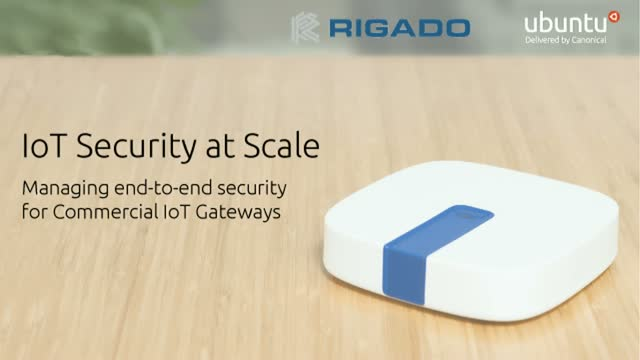 Rigado, a Canonical partner, provides a secure, scalable gateway solution to companies deploying large-scale Commercial IoT applications. In this webinar, Rigado will share their best practices for creating and managing IoT applications at thousands of locations, while maintaining end-to-end security from point of manufacture through to updates in the field. Rigado's 'Cascade' infrastructure - utilising Ubuntu Core - offers a unique 'edge-as-a-service' solution to IoT teams that require edge connectivity and computing for applications such as asset tracking, smart buildings and sensing and monitoring.